August 13th, 2013 San Marcos, CA – Baja Designs’ CopperDrive® LED Management System permits their lights to shine brighter, run harder, cool faster and live longer. High output white LEDs generate a lot of heat, requiring proper thermal management to safely drive them at 100% power. 100% power is the only way to get the lumen count promised by the LED manufacturer. The Scientists of Lighting at Baja Designs have designed their CopperDrive® with four levels of heat management. Copper core printed circuit boards are combined with thermally conductive gap pads, aircraft grade aluminum heat sinks and microprocessor controlled thermistors to achieve both a high level of performance and a 49,930 hour lifespan of the LEDs. 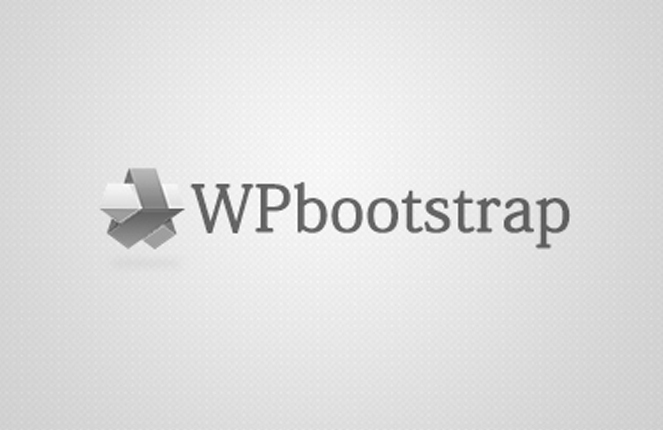 How exactly does CopperDrive® work? Copper is 60% more conductive than aluminum, and thermal gap pads are 50% more efficient than thermal paste (100% more efficient than nothing) at transferring heat away from the LEDs. In addition, Baja Designs’ heat sinks are specifically designed to optimize the surface area and airflow over the light. The last layer of heat management is thermistors that monitor the temperature at the LED to ensure that even in the hottest environments your LED stays safe and bright. Check out the video by clicking the image above to watch an overview of CopperDrive® technology by Alan Roach, Owner of Baja Designs. Look for the CopperDrive® icon on all applicable LED products from Baja Designs. More product news from Baja Designs in the upcoming months will reveal a complete series of innovations designed to continually bring you a re-evolution of bright ideas made better. 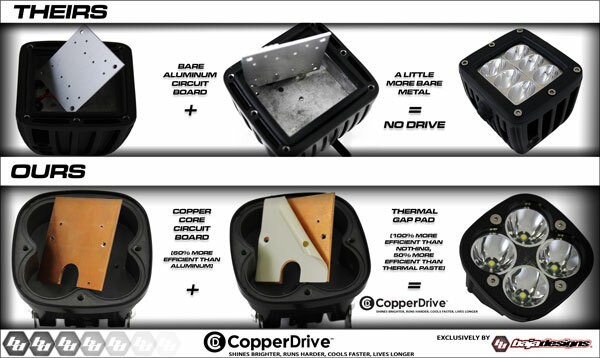 CopperDrive® allows Baja Designs to deliver the brightest, longest lasting LED auxiliary lights available.